The ESU-2050 ESU Analyzer was the first instrument of its kind. 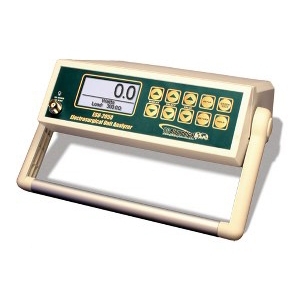 Designed through extensive collaboration with several of the world's leading electrosurgery generator manufacturers (including the worldwide market leader), the ESU-2050 is a highly accurate, calibration-quality instrument intended for use by OEM factory technicians and field service engineers. It can also be used by customers who desire to test their ESU generators in the exact same way the medical device manufacturers do. BC Biomedical's DFA ESU Analyzers are the only analyzers with a 1% reading level of accuracy. Calibration quality analyzers use external precision non-inductive test loads and wide band current transformer. Standard model is compatible with all legacy generators with continuous output waveforms, and with the latest technology generators such as the Covidien Force Triad, Ligasure Blood Vessel Dealing generator, etc. The standard model is NOT compatible with generators that produce pulsed output waveforms. This device requires a Pearson Coil and External Resistors (not included). • A BC20-00230 Pearson CT 4100 1:1 OR a BC20-00231 Pearson CT 411 0.1:1 (most commonly used) is needed. You will also need to purchase one or more Precision Resistors depending on the ESU platform you are testing. • A CQM-2000 is helpful if you do not have another means of testing CQM/REM/ARM.